Also click here to view. SAHO : ‘Ratiep’ bench, Wellington 2002 :- A relatively old ‘bank’ or bench initially used by Galiefa Usman Hendricks of the Usmaniah ‘Rifaai’ Jaamah. 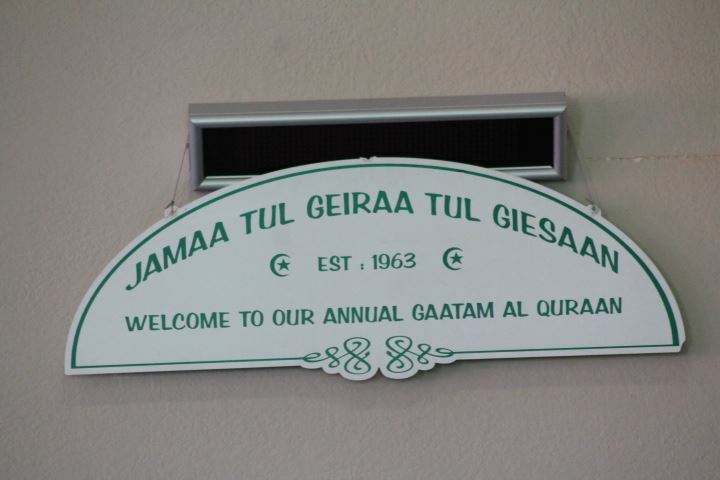 When he passed away, his stepson, Mogamad Hendricks, and mentor Ghaliefa Mogamad Martin, retrieved the neglected bench from a backyard in Retreat and together formed the Moulanaa Riefaai Jamah in Claremont. Ghaliefa Mahdie. Ghaliefa Mogamad Hendricks eventually moved out to Wellington taking the bench with him. When he passed away in 1993 his youngest son Abdullah inherited the bench. 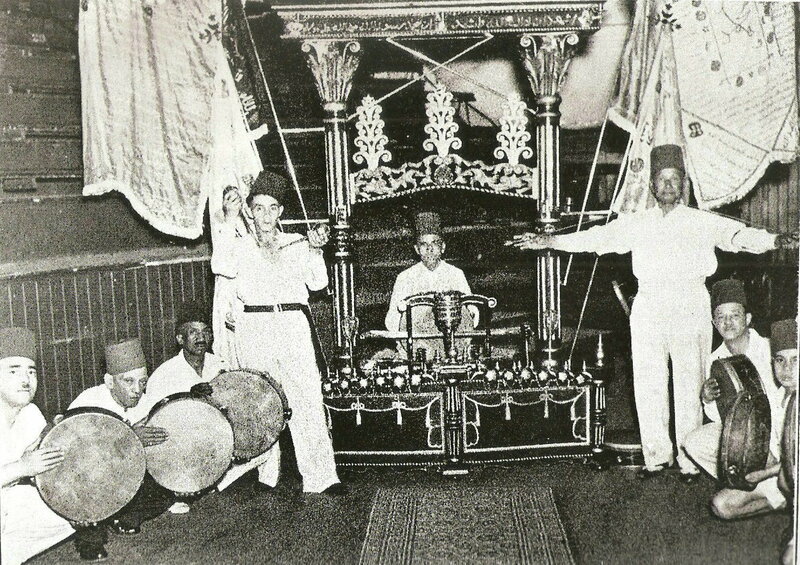 The origins of Ratiep point to the era of Sheikh Abdul Kader of Baghdad whose simple set-up of a sword resting on a cushion was later elaborated in Indonesia to include an ornate ‘bench’ holding many sharpened swords, spikes and pins and decorated with coloured flags. Most sacred is the headboard, inscribed with a sacred prayer in Arabic that is recited by the Ghaliefa before the ritual may begin. Benches seldom survive a century in the townships due to their regular use and woodworms. CHIEF Matutaera Te Nana Clendon, president of the Maori Malay Polynesian Society Inc, while sending me off at Auckland Airport recently, reminded that the past is our future. I retorted “you know what time is”. He resonated with an approving smile. We both know what that implies. 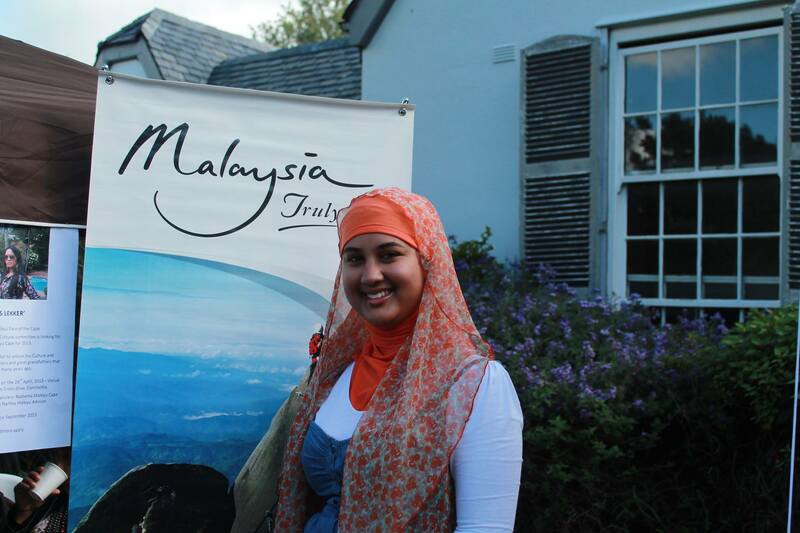 For the duration that I was in Waitangi and Auckland attending the Second International Maori Melayu Polynesian Conference late last month, I encountered a consciousness in the Maoris — a heightened manifestation of ethnicity and identity. There was the presence of a transnational relations beyond Aotearoa, the Maori name for New Zealand. It was resisting the Pakeha — the Maori label for the Europeans — the other White Man. The 80-year-old Chief Matu perhaps represents that consciousness — for, unbeknown to him then, he has been to his tanah air (homeland) more than 50 years ago defending Malaysia against the communists. 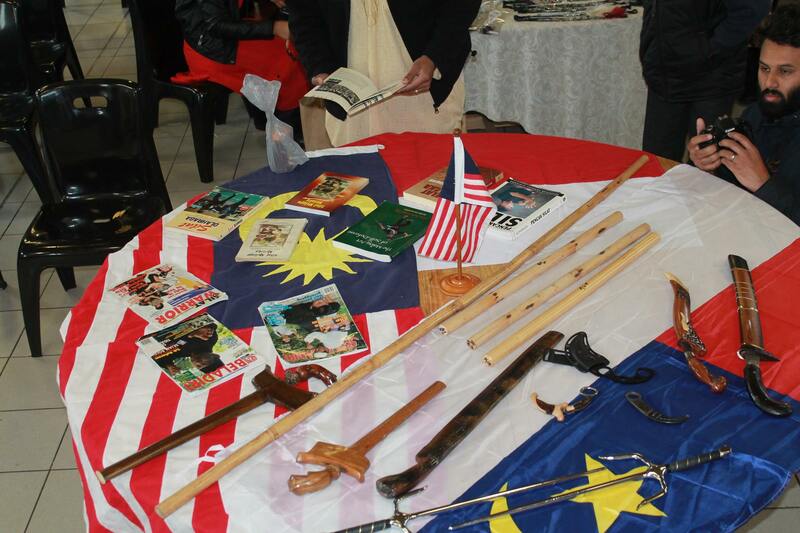 Many like him who first landed in Malaya/Malaysia as New Zealand servicemen in the 1960s later realised that it was a journey to the past, linking them to their origins in the Malay archipelago. The Maoris, 600,000 of them, forming 15 per cent of New Zealand’s population, are part of the Malay world stretching from Madagascar to Rapanui (Easter islands) and from Hawaii to Aotearoa. They belong to the Austronesian linguistic group with some 371 million souls — a large market as an economic community as I reminded the conference during the resolution session. Western writers described the Maoris, as the “Vikings of the Orient”. But the Atlantic, as the Maori responded, was just a pond compared with the Pacific. 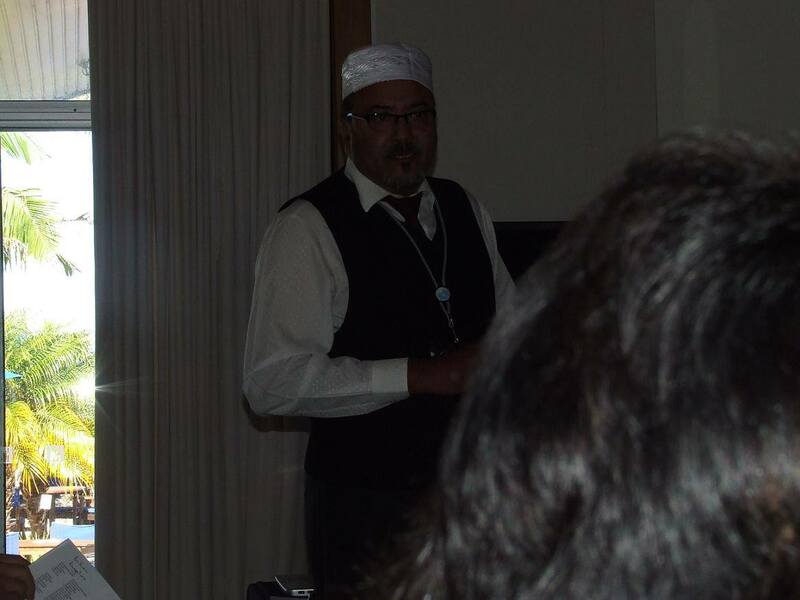 In presenting my paper later in the day titled “Early European/Pakeha Discourses on Melayu-Polynesian Identity”, I initially reflected that the meeting between the peoples of Southeast Asia and the Maori at the conference strongly signified a counter-narrative to mainstream Eurocentric view of the world. There was a predominant manifestation of reasserting and re-establishing indigenous and endogenous views of the world and oneself from the discussions and papers presented. It evoked Kupe, the earliest explorer who discovered Aotearoa in the 10th century. Later, a participant from Manahiki, an island in the Cook Islands (named after Captain James Cook) fairly located in the middle of the Pacific Ocean, whose inhabitants are a close kin of the Maoris, suggested dropping the name “Cook” to the group of islands. The second conference was themed “Strengthening Cultural, Educational, Trade and Tourism Networks among the Melayu-Polynesian Ancestral Nations”. 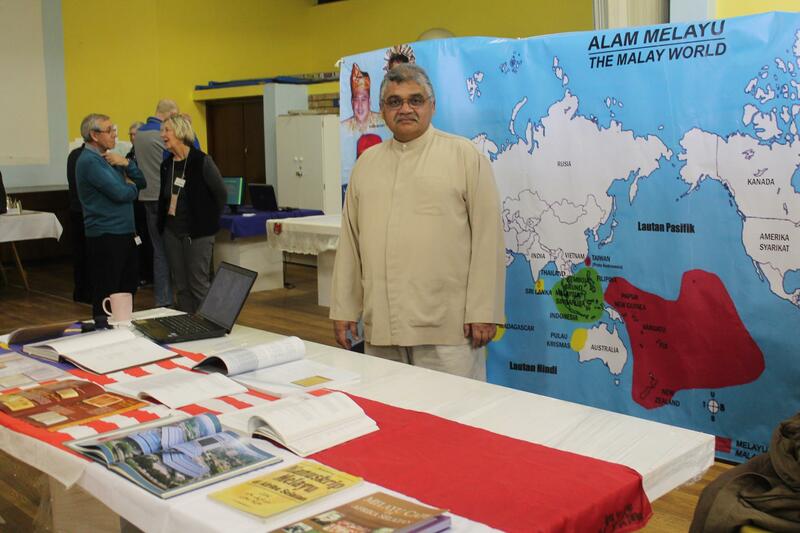 While there was a sense of urgency in translating the many resolutions, I cannot help but assume the continuous relevance of the theme from the first conference, held in Seremban, Negri Sembilan in July of 2012, which was “Reestablishing and Revitalising Melayu-Polynesian Cultural Grounds and Global Relations”. 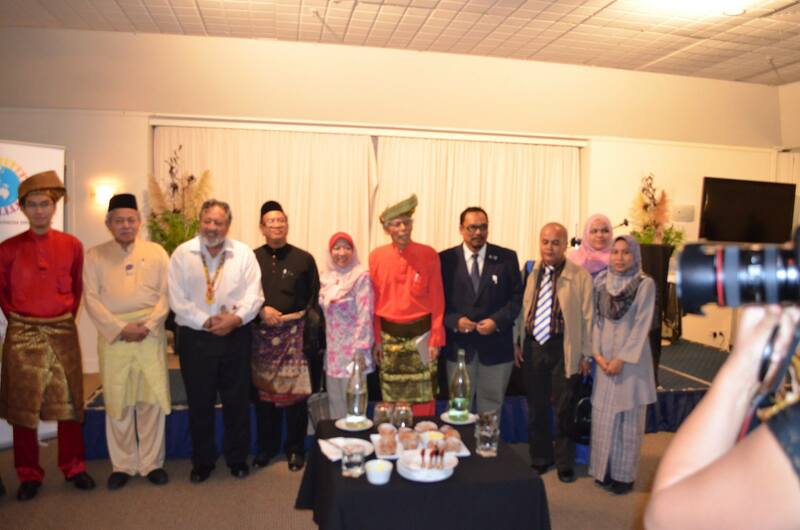 Three significant resolutions, among others, were the establishment of the Melayu-Maori-Polynesian Chamber of Commerce Business Council, and a university based in Auckland tentatively named as the Nusa Melayu-Polynesia International University. The other was revising history — resonating the oft repeated phrase in the conference — “The past is our future”. In my paper, I articulated that for us to know ourselves, our identity and origins, we also have to know how we were constructed by others over the centuries. We have to internalise ourselves from within, we have to represent ourselves, and be conscious of our own voice and expressions of our being. I revisited two works relevant and much critical to the discourse. One was Syed Hussein Alatas’ Myth of the Lazy Native: A Study of the Image of the Malays, Filipinos and Javanese from the 16th to the 20th Century and its Function in the Ideology of Colonial Capitalism published in 1977; and the other Decolonizing Methodologies: Research and Indigenous Peoples by Maori educationist and scholar Linda Tuhiwai Smith, published 22 years later in 1999. While Syed Hussein adopts the sociology and philosophy of colonialism in the Asian setting and the concept of ideology as the system within which the representation of identity operates, Tuhiwai Smith holds no reservations on the Pakeha. She advocated for a rewriting and rerighting “our position in history.” Writing history and theory are key sites in which Western research of the indigenous world have come together. “Research” is inextricably linked to European imperialism and colonialism. According to Tuhiwai Smith, it is probably one of the dirtiest words in the indigenous world’s vocabulary. History and theory evoke emotions. Being Maori was also ridiculed and condemned in academic and popular discourses. In the Maori, we see outside of ourselves, that the production of knowledge is not always direct and neutral process. Even identifying ourselves as the Melayu-Polynesian rumpun (cluster) is not value free. A pertinent example is the text of the Treaty of Waitangi in 1840. The Maori language text was signed by 45 rangatira (leaders) on Feb 6. No rangatira had signed the English language text. There are some five versions of the Treaty in English, which, according to the Maoris, have conflicting translations and interpretations that are still being debated today. The coloniser and the colonised, in Frantz Fanon’s words “…know each other well” — perhaps much too close for comfort. Patron of the World Melayu-Polynesian Organisation, His Highness Prince – Yang Amat Mulia Tunku Zain Al-‘Abidin ibni Tuanku Muhriz (left) – more popularly known as Tunku ‘Abidin Muhriz, the son of Sultan, Yang di-Pertuan Besar of Negeri Sembilan (Malaysia), Tuanku Muhriz ibni Almarhum Tuanku Munawir. Part of the Malaysian group with the Hon. 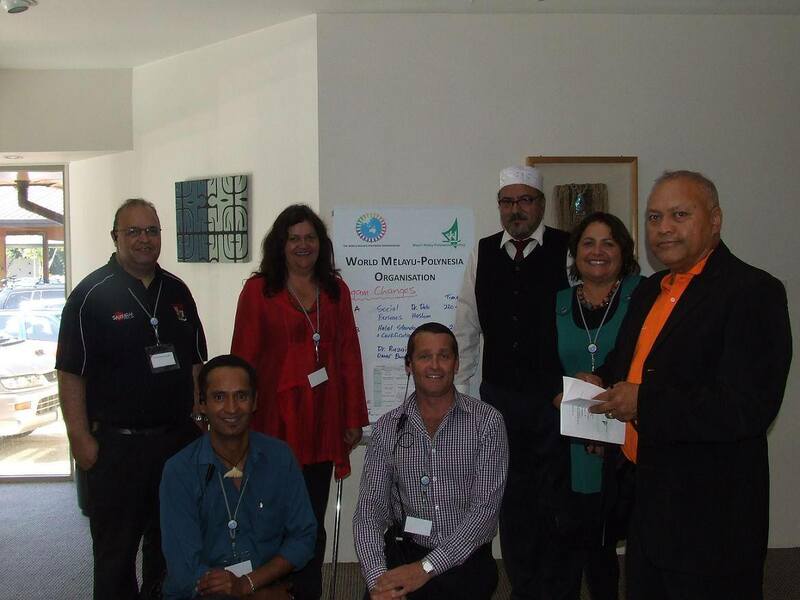 Minister of Maori Affairs, Peter Sharples (3rd from left). Concurrent sessions: Toyer Farrath meeting the first arrivals, Prof Dato Nik Hassan Shuhaimi (Malaysia), Rawson Wright (Chairman of Taitokerau Forests Ltd, New Zealand) and presenter Mohd Yusof Abdullah (Director of Negeri Terengganau Museum, Malaysia). 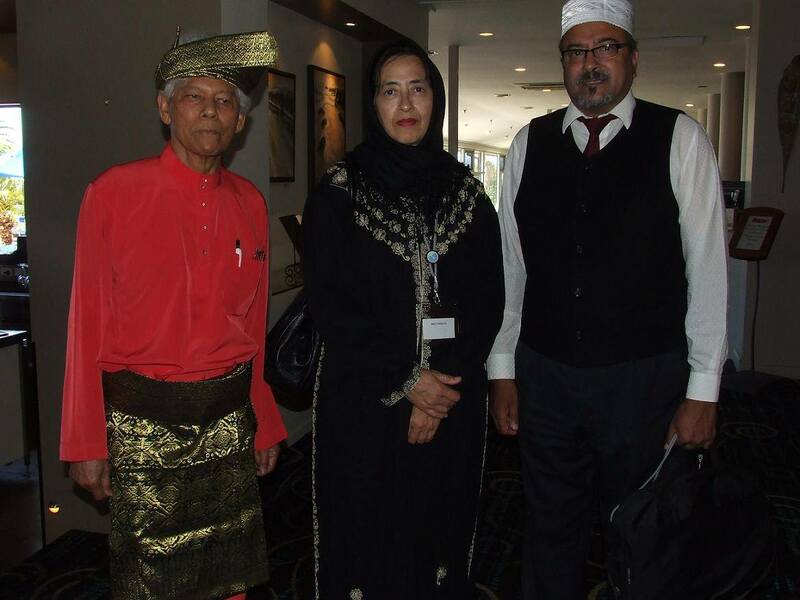 Toyer Farrath and Nuruniesah Farrath with Prof Dato Kamarudin Kachar (Malaysia), President of The World Melayu-Polynesia Organisation. 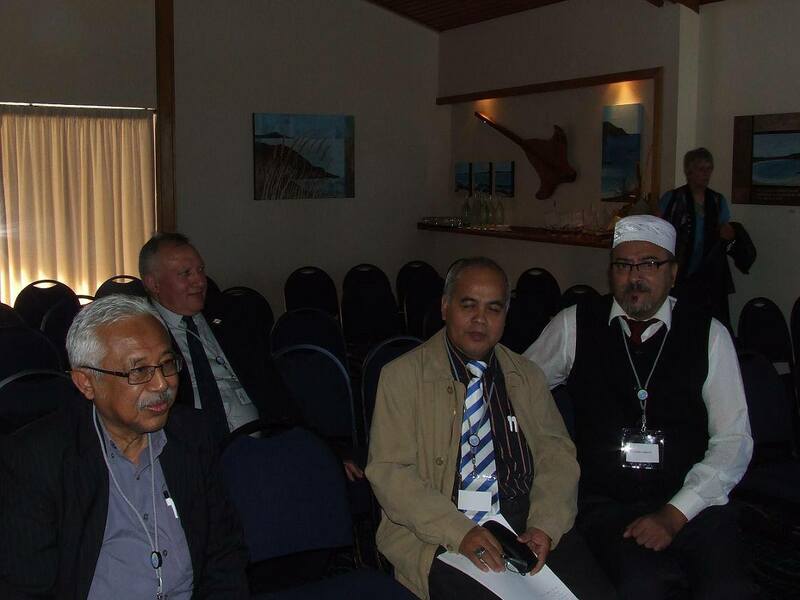 Toyer Farrath with the Maori members of the Maori-Malay-Polynesian Society – organisers of the The 2nd International Maori-Melayu-Polynesian Ancestral Nations Conference (Waitangi, New Zealand). Tuan Guru (Imam Abdullah Qadi Abdus Salam), Imam Abdullah Haron and musician Abdullah Ibrahim share a first name but also a firm grounding in Islam. Together they have plotted a course of resistance to colonialism and Apartheid with Islam as their vehicle. 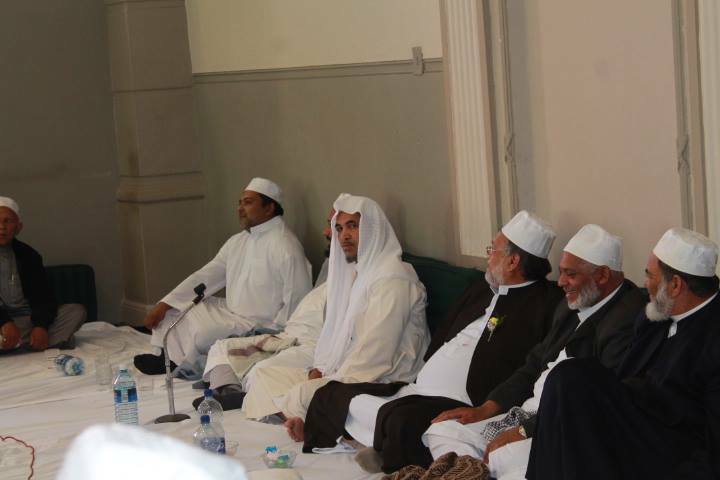 The three Abdullahs lives have become salient points within the trajectory both of Islam in South Africa and in the story of South Africa itself. Three Abdullahs: A Genealogy of resistance celebrated and reflected on this history by examining the visual representation of these figures in the public imagination through an exhibition format. UCT Honours in Curatorship student, Justin Davy, invited Weaam Williams, Igshaan Adams and Haroon Gunn-Salie, as artists, who deal with the theme of resistance in their work, to respond individually to the archive of the Three Abdullahs with new and existing works. 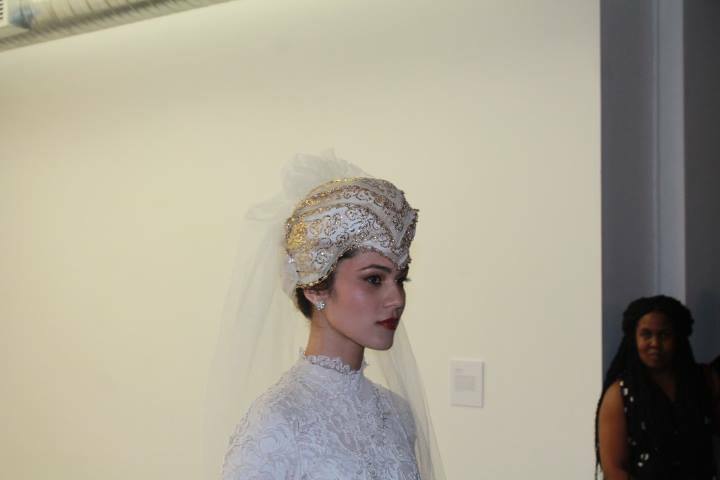 Weaam Williams presented Medora: Ancestral Omega, a performative installation which centres around the practice of pinning a Medora – a turban-like headdress – onto a Muslim brides head on her wedding day. 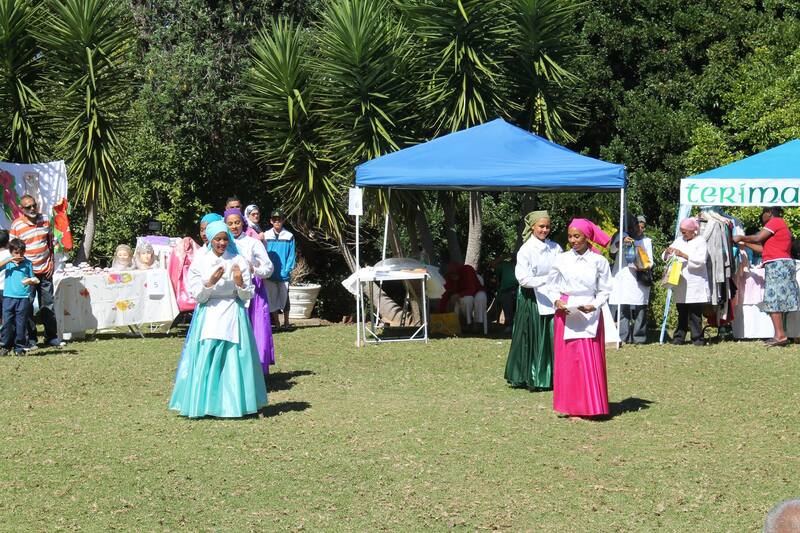 The practice of crafting and pinning Medoras is closely linked to the history of Weaam’s family, her great-grandmother at one stage being the only person in Cape Town able to make a Medora. Furthermore, the work embraces women’s stories and responds to a male dominated history including that of the Three Abdullahs. Fresh from a solo show entitled Have you seen Him? at Blank Projects, Igshaan Adams presented a ritualistic performance in response to the idea of legacy or “what we leave behind when we die”. Haroon Gunn-Salie is a 2013 Sasol New Signatures finalist. He described being named after Imam Abdullah Haron as a “narrative he has been coming to terms with throughout his life”. Gunn-Salie will be digging deeper into the Haron archive and simultaneously adding to it through the course of the exhibition. Special Guest James Matthews, the acclaimed poet and icon of the struggle against Apartheid, will collaborate with Haroon Gunn-Salie on a performative piece conceived for the exhibition. The exhibition ran till 18 November, Monday to Friday between 12 and 4pm. By appointment only. The exhibition is curated by Justin Davy in fulfilment of the requirements of the Honours in Curatorship Course at the Centre for Curating the Archive, Michaelis, UCT. Pietermaritzburg – The word “coloured” is a derogatory term that should be abolished like all other offensive terms, says the Khoi and San community in KwaZulu-Natal. The leader of the Khoi-San in KwaZulu-Natal, Raymond Trollip, said members of the coloured community should be referred to by their different tribes such as the Khoi, San, Nama, Khorana and the Grique. He said it had been coined by the “Dutchman to classify us from human beings to nothing”. Trollip was addressing delegates at a workshop organised by the department of rural development and land reform in Pietermaritzburg on Thursday. 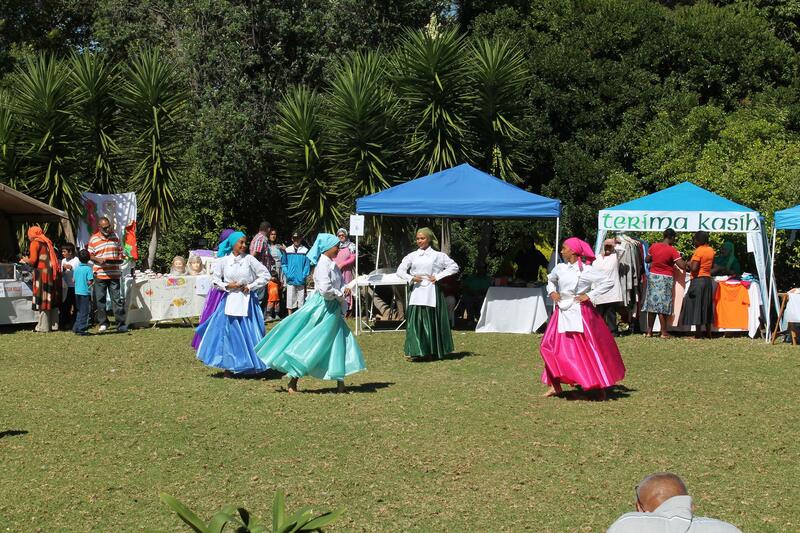 The event is aimed at collecting the views of coloured people about the possible reopening of the land claims process. Their forefathers were dispossessed of their land in the 1800s and the current generation could not file land claims with the government because they lost their land before the 1913 cut-off date. Trollip said that in their efforts not only to abolish the classifications of the past, the communities were also fighting to regain their culture and identity and were already looking at teaching one of their original languages, Nama, in schools in the province. “We have identified the Nama language that should be taught in schools. It is an African language and would be easy to learn and would simply fall on the tongue,” he said. Trollip said much needed to be done to restore the dignity of the “coloured” community. 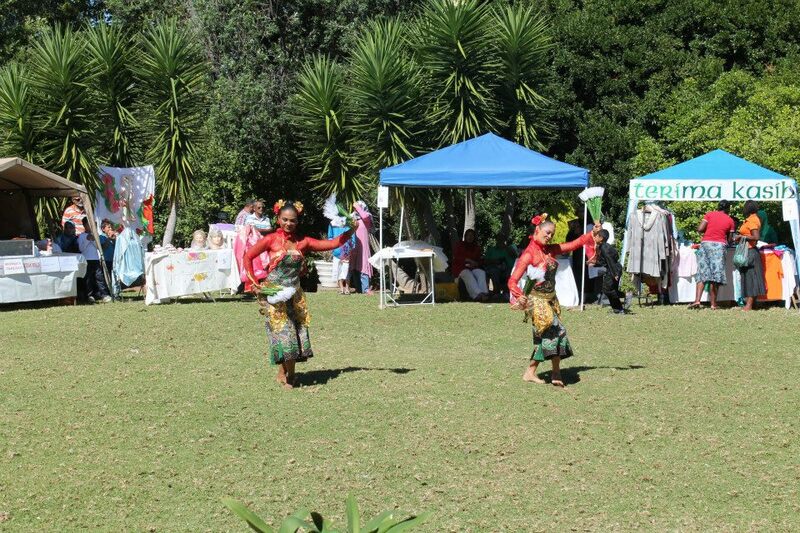 His words were echoed by Gabriel Marais, representative of the National Khoi and San in KwaZulu-Natal, who said it was important that their culture, language and heritage be revived. Advocate Bheki Mbili of the department said the workshop would look at the concerns raised by the community. “The Khoi-San indaba will provide the platform for more inputs to the policy document the department is currently developing to the benefit of all exceptional land restitution claims,” Mbili said. Here are some key events that show a collection of milestones highlighting Mandela’s historic and warm interactions with Muslims, gathered by Cii Radio on Friday, December 6. In a letter, whose date could not be verified, Sheikh Aidh al Qarni invited Mandela to accept Islam. “I am one of millions on this globe who have read your autobiography, realized your struggle, admired your bravery and wondered about your sacrifices and devotion for the cause of your principles, your freedom and the freedom of your people,” the letter said. 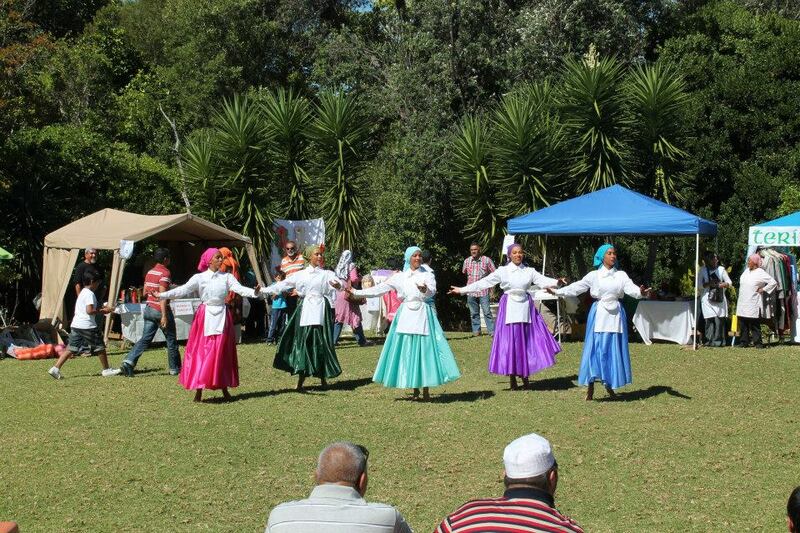 The heritage of Muslims in South Africa was celebrated at a special event organised by the Muslim Judicial Council (MJC) on national Heritage Day on Tuesday. 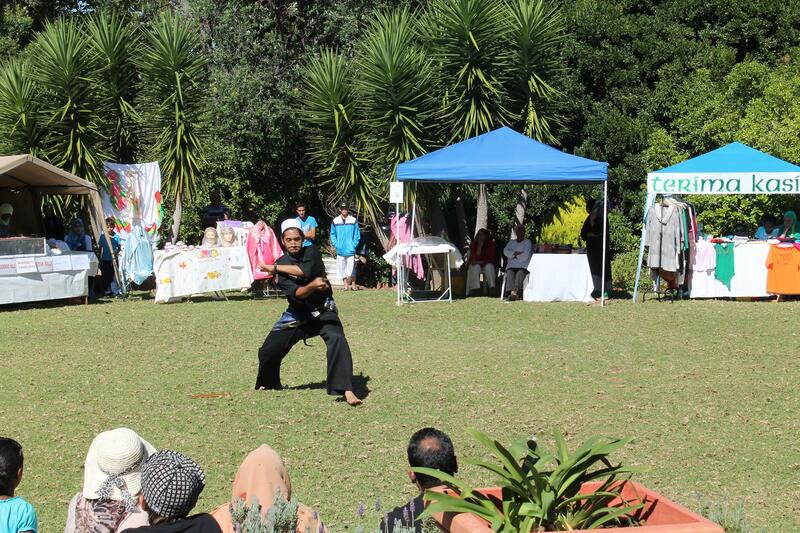 The MJC teamed up with the Sandvlei Muslim Jamah and Awqaf SA to host the programme at the Sandvlei Kramat on Tuesday. The programme focused on the Kramat and the people that played a pivotal role in acquiring the land for the community. 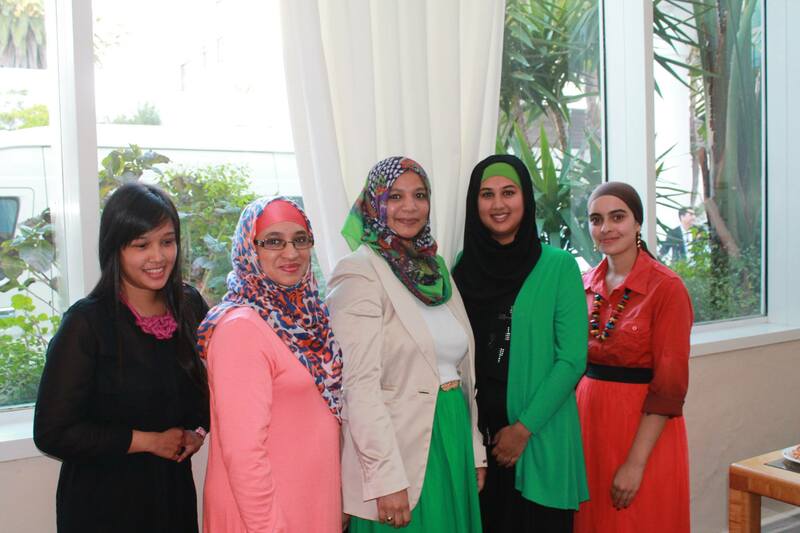 There was a focus on educating the youth to the contributions and sacrifices made by the community, to preserve Islam during the apartheid era. “Our invitation is towards the broader community. 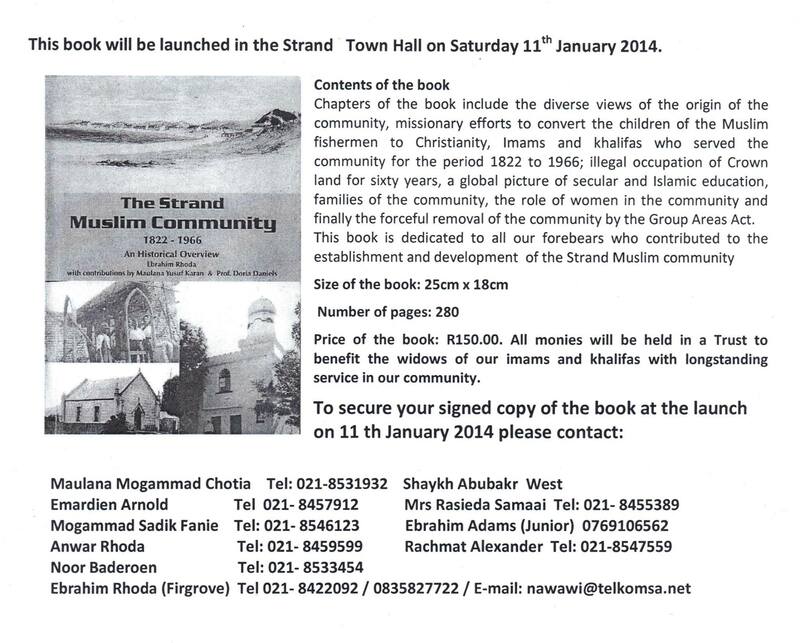 We want young and old to come out towards the Sandvlei area and attend this vibrant programme,” said MJC secretary general Maulana Abdul-Khaliq Allie. The focal point of the programme saw elders in the Sandvlei community, undertake in a panel discussion about some of the lessons they have learnt from their seniors and to relate their own stories. “Part of it will be one of the elders speaking about the history itself, about the development of the community and about the father figure, Khamis Daries, who passed away on his way to haj. Prior to that, he had played a pivotal role in the Claremont area with his family, and then also when they relocated to the Sandvlei area. He made sure that he left his footprint and that will be related tomorrow,” he said. 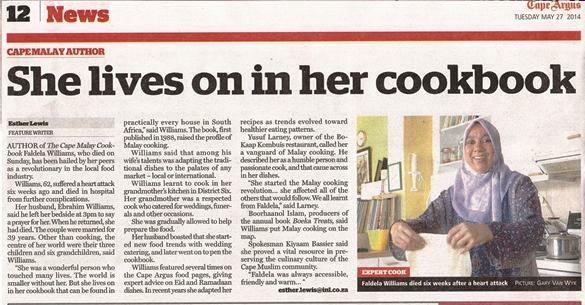 Allie said it was vital for Muslims to celebrate Heritage Day by honouring those who fought for Islam in the country. He said it was essential for the current and future generations to understand very clearly and identify with all South Africans, and to celebrate their heritage in line with the suffering and torture of all South Africans. “We must be able to acknowledge the fact that our Islamic heritage and our contributions to liberation are very significant. Our elders, they suffered two colonial forces, the British and the Dutch. Islam was a banned religion. We can recall so much suffering and pain by our predecessors,” he said. He urged the community to celebrate Heritage Day, and preserve the countries rich legacy for future generations. “When our children look at our achievements today, it must be appreciated because it was hard fought,” he said. 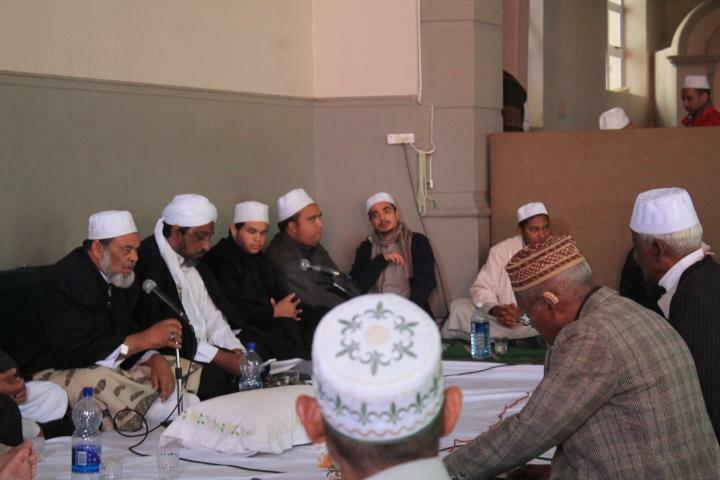 The programme began at 10am with a Khatam al-Quran, followed by a 45 minute panel discussion from 11am. The MJC was then joined by ITV at 12pm. PUTRAJAYA: The inaugural Mahathir Award for Global Peace has been awarded to former South African president Nelson Mandela. Current South African president Jacob Zuma accepted the award on Mandela’s behalf. Describing Mandela as a friend, Tun Dr Mahathir Mohamad said it was appropriate that the South African leader was the first recipient of the award as he was truly a man of peace. “I remember the first time I met Mandela in Zambia just after he was released from prison in Robben Island. “I was expecting a broken or bitter man for he had spent 27 years in jail. Instead, I found a man who was extremely rational and who thought nothing but the welfare and well-being of the people in Africa,” he said. Dr Mahathir said Mandela should have been bitter but the former president told him that he had made friends with the jailers who provided him with newspapers to read. The Mahathir Award for Global Peace will be presented annually to recognise those who have made valiant efforts in promoting peace. During his keynote address at the launch of the Mahathir Award for Global Peace here yesterday, Dr Mahathir said election candidates in all countries should pledge to abstain from war so that governments in the world would be dedicated to upholding peace. The former prime minister said voters should not pick election candidates who do not make such a pledge. “The world is getting more democratic. People have the right to choose their governments and leaders,” he said. Such a move, he said, would lead to the world having governments dedicated to peace. “The future generation has a role to play. It is going to be a long struggle but I am sure if young people realise the need to criminalise war, the need to promote peace, then God willing, peace can be achieved,” he said. The Mahathir Award for Global Peace is an international peace award by the Mahathir Global Peace Foundation, which was formed to contribute to global peace efforts. During the event, the foundation presented Dr Mahathir with the Lifetime Campaigner for Global Peace award.